DBSK - Strongest Boybands in Allkpop World? DBSK - Strongest Boybands in the Kpop World? 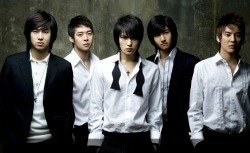 DBSK - short for Dong Bang Shin Ki is also known as TVXQ and is a five member boyband discovered and debuted under SM Entertainment in 2003. Considered by many to be the top boyband of Asia releasing a wide range of Korean and Japanese albums, this group has also expanded its popularity beyond Asia to an international level, where they have captivated the hearts of fans throughout the world. 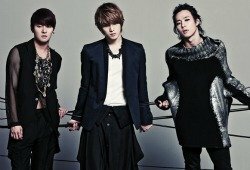 In 2010, fans were shocked by the sudden departure of three of the members (Hero, Micky and Xiah) due to the unreasonable demands and terms outlined in their contracts, however they quickly reformed to create a three member group calling themselves "JYJ". The remaining two member (Max Changmin and U-Know Yunho) have re-created the group as a duo, and have released a new Korean and Japanese album. Both old and new are receiving lots of support from fans worldwide. This very popular allkpop group have toured extensively around Japan and all around Asia (Malaysia, Taiwan, Thailand etc). In fact they were the first Korean group to perform live in Malaysia - this marks a stepping stone for this boyband which led them up to their future international fame and recognition. Due to their immense popularity, this boy band have endorsed several popular brands including: Samsung's Anycall, sports brand "Fila" and Oronamin C. Some of their songs have even been included in cartoons, movies and commercials/advertisements: One Piece, Subaru and Chevrolet. Max Changmin and U-Know Yunho also joined their fellow bandmates (BoA, ShiNee, Girls Generation, f(x) and Kangta) for the 2011 SM Town World Tour, where they have performed in Seoul, L.A. and Paris. U-Know Yunho was a competitor in the show "Kim Yuna's Kiss and Cry" where he was recognized as one of the competitions strongest ice skaters in the group. .